As a joint game development product of Siamgame and KLabGames, BLEACH Mobile 3D is an over-the-top 3D MMORPG that makes the Bleach franchise stand out in a mobile game. With graphics that come at par with the best mobile games or perhaps even some console games, and character voices from original voice actors from the anime series, BLEACH Mobile 3D is definitely a great treat for fans of the franchise. Many gamers, especially those fond of MMORPGs, will find all the right reasons to check the game out as well. BLEACH Mobile 3D provides a wide variety of characters to play with and the mix and match system of forming 3-character teams opens tons of possibilities for very intriguing PvE and PvP combat. 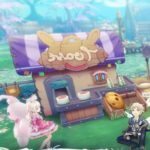 Although the presentation of the franchise’s story through the main quests of the game holds very well on its own, the various additional game modes and intricate character customization and development features are at least at par with the top MMORPGs in the mobile gaming market. So if you are itching to try out a new brand of MMORPG or a fan of the Bleach franchise, then hold no second thoughts and try this new game as soon as you can. 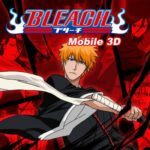 BLEACH Mobile 3D takes you through the world of the Bleach manga and anime, which centralizes on the life and adventure of the protagonist, Ichigo Kurosaki, as he becomes a soul reaper and forced to continuously become stronger in the face of ever-increasing challenges. As the world of Bleach holds dozens of supporting characters that fans would most definitely enjoy playing as, BLEACH Mobile 3D lets you choose any of the characters you unlock in the game as your main character along with 2 supporting allies. It follows the usual RPG element of gaining experience and levelling characters up, along with equipment management and skill settings. Most game mode can be done through single player mode, but some are best played with friends and allies. While it generally revolves around increasing power, strategies play a big part in both PvE and PvP battles. Along with numerous resources you have to manage well, your game time also depends on in-game stamina which you consume with every activity or battle you engage in. A short and very easy to follow tutorial will be provided as you dive into the world of BLEACH Mobile 3D. 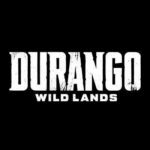 As battles will be easy and progress will be fast at the first minutes of game play, every new feature and game mode that you unlock will include a brief explanation and a bit of a linear walkthrough. While its mostly open-world and may take a while to get used to, the game’s auto mode makes it easy to travel from point A to point B and makes easy stages almost effortlessly accomplishable. The action part follows using a virtual D-pad to control movement, a basic attack button and several other buttons for special moves. There is also a dodge button that proves to very important, given that there will be clear indications as to where and how far the enemies’ special attacks will transpire. The challenge of getting used to the controls and mechanics may most likely only fall to first-time players of a mobile MMORPG as these same elements are common to a lot of other games. However, if you are somewhat confused as to how you should go about boosting your power in the game and perhaps looking for the best ways to progress your game, then our BLEACH Mobile 3D beginner’s guide offers a variety of useful tips, cheats and strategies to jumpstart your game and progress faster ahead of the masses. The main quests in BLEACH Mobile 3D serve as your guide towards making progress in the game and by finishing each quest, you can gain the most experience points to level up as well as unlock more features and game modes for you to later explore and engage in. The first few additional characters you can acquire for free will also be made available following the main quest line. The main quest usually takes you through the challenge mode which in a way lays out each stage and chapter as close as possible to the events that transpired in the manga and anime. The challenge mode is divided into separate chapters with 3 subchapters for the first, six for the second, and 9 for the succeeding ones. If you can, aim to secure a 3-star rating for each subchapter as getting 3-star ratings for each stage in a chapter reaps the maximum rewards to get. Additionally, completing a chapter earns you a unique equipment as well. The initial stages and chapters will definitely pose no problem and once you can use auto mode, you will practically breeze through most stages. You will acquire a lot of in-game stamina early on and will probably have more than what you need to make good progress. Just the same though, later on you will have to consider good management of your stamina. While you will notice recommended power levels on each stage in challenge mode, don’t hesitate to try and accomplish each one. If you find difficulty on some stages later on, try a different tactic and learn to rely less on auto battle. That should follow expending all attempts to raise your power as well. The point is, while the game is mostly about raising your power level; always remember that it greatly depends on approach and strategy too. In MMORPGs as well as most online multiplayer games, guilds, alliances, or similar types of player factions have been an integral part of such games and potentially what makes both cooperative and competitive plays even more lively and stirring. Although all games allow for every player to proceed through the game entirely on his own, being a part of a groups, which in BLEACH Mobile 3D’s case is an association, is important in ensuring that you can progress as much as any player can. Joining an association as soon as you are able to is an option, but given the additional perks you can get out of it, it becomes very important and if you intend to progress much in the game, it’s no question that you definitely have to be in one. There are daily sign in bonuses available within the association welfare that you can grab once you join one. Depending on your donations, as well as everyone else’s, contributions, sweep coupons, and even crystals can be obtained from it as a reward for every member. There are also opportunities to request character fragments from fellow association members and a means as well to gift extra fragments to those who need them. There are various events available for the association that also offers extra rewards. The association contributions you earn from donations and participation in the association events can be used to purchase character shards as well as other essential consumable items. If you are not fortunate enough to have friends in real life who share your passion with the game, there are plenty of advantages to earn from having as many in-game friends as you can which is why you should spend a bit of time gathering some in-between questing and engaging in other game modes. Each friend you gain can send you 3 stamina points each day and you can earn as much as 90 stamina points. As stamina is one factor that can impede your growth and progress in the game, it is a very important commodity and you should grab every opportunity to earn as much of it as you can. Beyond having an extra source of free stamina each day, having friends can mean having a wide choice of candidates for events and game modes that require you to be a part of a team to participate in. There will always be an option to join random groups of people for these game modes, but it will be much easier to strategize and earn more certain results from team-ups that have a more constant roster of players. There are various ways you can make each of the characters you have stronger and every bit of enhancement you do on members of your main team contributes to an increase in your overall power level. You will naturally be getting a variety of characters following the natural progress through the game and will most likely be switching between characters several times before deciding on a team you will be using for the most part of your journey. You will have a little more than enough characters to choose from at the early part of your game but still, it’s a good idea to test each one out before allocating your very limited and valuable resources among your main character and 2 supporting ones. The most basic means of strengthening each character is the upgrade which is basically levelling characters up through the use of character EXP pills and some silver, which is the basic currency. Keep in mind that the maximum level your character can grow to is capped at the maximum level of your account. As such be sure not to waste character EXP pills on putting in more experience points than what is needed. Just to be safe, keep character levels just one level below your account level with priority on your main character, of course. Next to the upgrade, you can further boost your power and your heroes’ stats by raising the hero’s quality. On top of shurikens, which are not as easily obtained and the accompanying silver, quality upgrades require having the character reach a certain level before being initiated. As this involves scarce resources, you should ensure that you only spend extra ones on supporting characters following the advancement of your main character to no longer need those materials. Perhaps the most challenging way of boosting characters’ stats and power comes with advancement as it requires an increasing number of advancement stones as well as shards of the hero. It’s a good thing, though, is that just by clicking on a certain enhancement item you are lacking of, you can identify where you can obtain them. Like raising quality, prioritize advancement on your main character considering the difficulty in acquiring advancement stones. In most RPGs, the hesitation to go all-out when it comes to upgrading gears or equipment is borne of the usual notion you will always come across better pieces of equipment and replacing what’s equipped on your hero may mean wasting resource materials and money on some gears that eventually become totally useless. In BLEACH Mobile 3D, you can cast your worries about such wastage aside as fully upgrading the levels of your equipment will be beneficial for you all throughout as the upgrade levels practically carry over to new pieces of gear that you have equipped. Although levels go down a bit when you equip a higher rarity gear over another, it won’t cost that much to raise it back up especially on the lower levels. Keep in mind that the maximum equipment level is 2x your account level so if you are currently at level 25, then it is recommended to upgrade each piece of your equipment to level 50. Be sure to also check on the “Enhance Master” icon at the gear screen as each gear enhance master level you reach rewards you with additional attack, armor, and HP stats. With the use of gear refine stones, you can also refine blue or above rarity gears and further boost the stats that they provide. The Gameplay icon at the right side of your screen holds a wide variety of game modes where you can earn a lot of great rewards. Game modes are categorized into gameplay, dungeon, time-limited, and association. Some of these modes have limited attempts per day while time-limited events can only be participated in at certain times of the day. It is important to take note of the variety of rewards you can earn from each of these game modes and, if you have the time, you should make the most out of it by expending all attempts on each. Keep in mind that once these game modes become available to you, it should become a part of your daily routine to take on each one especially if you want to earn power and make progress in BLEACH Mobile 3D as fast as you can. On top of the outright power increases you get out of levelling up and doing several enhancements, there are additional means of increasing power that you might miss out on. As you make progress through BLEACH Mobile 3D’s story and various game modes, be sure to always check on the player info by clicking on your avatar at the topmost left side of the screen. At the player info screen, you can see separate icons for info, moniker, title, and achievement and each one after info, can further increase your power or grant extra rewards. Moniker is more like your player rank in a sense as it primarily depends on your power value. Upon reaching a certain level of power and reaching a certain goal in some game mode, you can advance your rank and greatly boost your stats and power. On the other hand, titles can be unlocked and equipped following certain progress or milestones in the game. Each one offers unique stat boosts that contribute to how you can further make your hero unique. For locked titles across different tabs, you can easily see the requirements for unlocking them as well as your progress relative to each feat. If you are particularly targeting a certain boost, therefore, be sure to try and focus on the requirements for one title. Achievements embody your milestones in the game and offer multiple tabs that each carry a list of feats you should aim to accomplish. Each line offers a one-time reward and on top of the outright rewards you can receive for completing each task, you can earn achievement points that can earn you crystals after reaching a certain value. As crystals are premium currency in BLEACH Mobile 3D you can use to purchase highly sought items in the store, it should be a given that you should earn as many of these as soon as you can to boost your progress. In addition to the outright experience points and rewards you receive out of participating in various game modes and engaging in some other activities in BLEACH Mobile 3D, you can get more out of it through the daily missions which you can access through the daily icon at the right side of the screen. The list you will find under the daily missions are typically activities you would normally engage in as you play the game. On top of just being an extra source of experience points, crystals, and other valuable items and resources, the daily missions list should serve as a guide on what you may have missed to do relative to your daily routine. As there are so many game modes and activities in BLEACH Mobile 3D, it’s easy to look track of otherwise easy to accomplish feats in the course of your game. Keep in mind that you don’t necessarily have to accomplish everything on the list each day but it’s important to strive for earning 200 activity points and be able to unlock and receive the rewards from the final chest. There are numerous icons to check and explore at the top of your screen but the ones you ought to constantly keep an eye on are welfare, recruit, and carnival. These icons hold freebies and rewards that will further help you increase your power and make it relatively easier to progress your game. Welfare holds a variety of rewards as easily achievable as logging in on the game. At specific time frames, be sure to grab some free stamina as well. Depending on how much time you can invest on BLEACH Mobile 3D, check on the online reward once every 15 minutes as it can reward you with some random consumable items, any of which will be helpful for your numerous upgrade and enhancement needs. The character recruitment which you can access through the recruit icon is where you can summon additional heroes or at least shards of them. You get 5 free chances at normal recruitment at intermittent times in a day as well as one free shot at advanced recruitment every 24 hours. With a character being a guaranteed draw once every 10 advanced recruitment, be sure to make it a point to take full advantage of the free attempts you can claim here. The carnival is a time-limited 7-day event that activates as soon as you start your game. It is in many ways similar to achievements and daily missions though some of the tasks outlined here are far more challenging. Don’t be pressured into completing day 1 tasks on your first day as you can continue to pursue the completion of any day 1 task even on the last day. Each feat you accomplish earns you a point and for every 20 points you accumulate, you will be rewarded with 10 character shards of the SSR hero Kenpachi Zaraki. You can immediately see as well each set of rewards you can earn from completing each task on the list and if those are not enough to drive you into completing as many as you can. The chance to recruit an SSR hero for free should. Well, there certainly is a lot more to cover in BLEACH Mobile 3D but for now, this is all we can cover in our beginner’s guide. 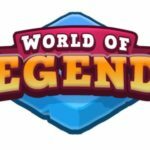 As we continue to dive deeper into this game, we hope to gather more information and uncover more tips and strategies that hopefully we can share with you later on. If there are some relevant BLEACH Mobile 3D tips, cheats or strategies you are aware of that we haven’t included here, don’t hesitate to drop us a line in the comments!